Since its launch in 1984, the Portofino Collection by IWC Schaffhausen has appealed to discerning watch enthusiasts who value the charm and virtues of the Italian way of life. Now the manufacturer is expanding the collection by introducing two new variants of the iconic Portofino with an eight-day hand-wound movement. 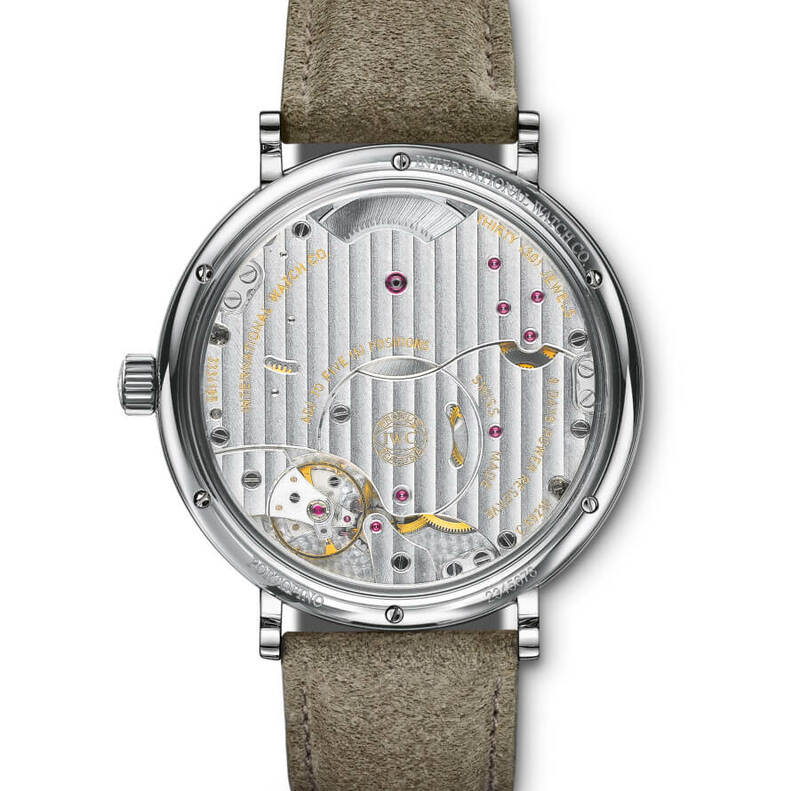 For the Portofino Hand-Wound Eight Days (ref. 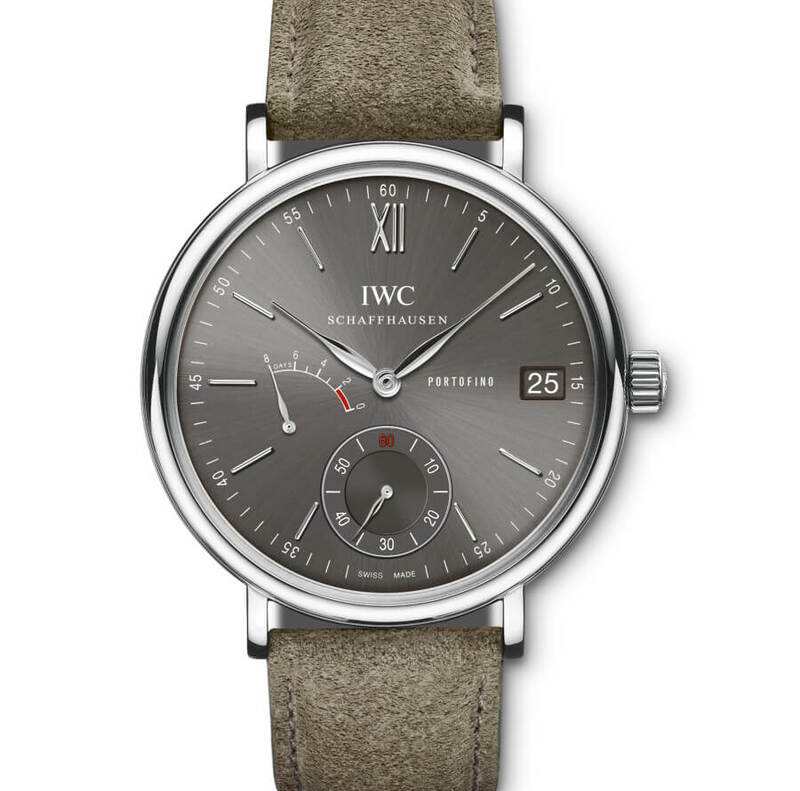 IW510115), IWC uses suede as the strap material for the first time. With its soft, roughened surface, suede is not only visually attractive; the material is also exceptionally comfortable to wear. 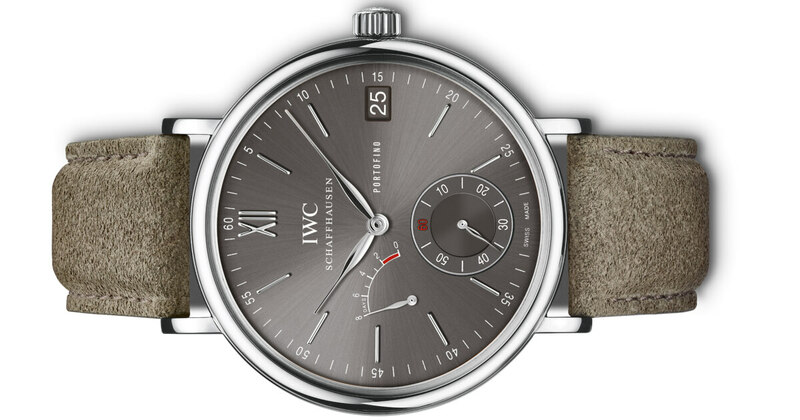 In addition, the colour of the grey suede harmonises perfectly with the slate-coloured dial. With the Portofino Hand-Wound Eight Days (ref. IW510116), IWC is offering a new combination of materials and colours. In this variant of the hand-wound classic design, the deep blue dial provides a pleasant contrast to the elegant stainless steel Milanaise bracelet. Both models are driven by a 59210 manufacture calibre and boast 192 hours – or eight days – of reliable and accurate running. After this period, the movement stops automatically, although it is designed to run smoothly for nine days. This guarantees a constant driving torque for eight days. The integrated power reserve with separate dial display reminds the owner to wind up their watch at the right time. In addition, the indexless balance has a frequency of 28,800 beats per hour and, together with the Breguet spring, which is wound following an age-old tradition of watchmaking, helps to make the watch exceptionally accurate. The see-through sapphire glass back allows the user to view the movement, adorned with Côtes de Genève. 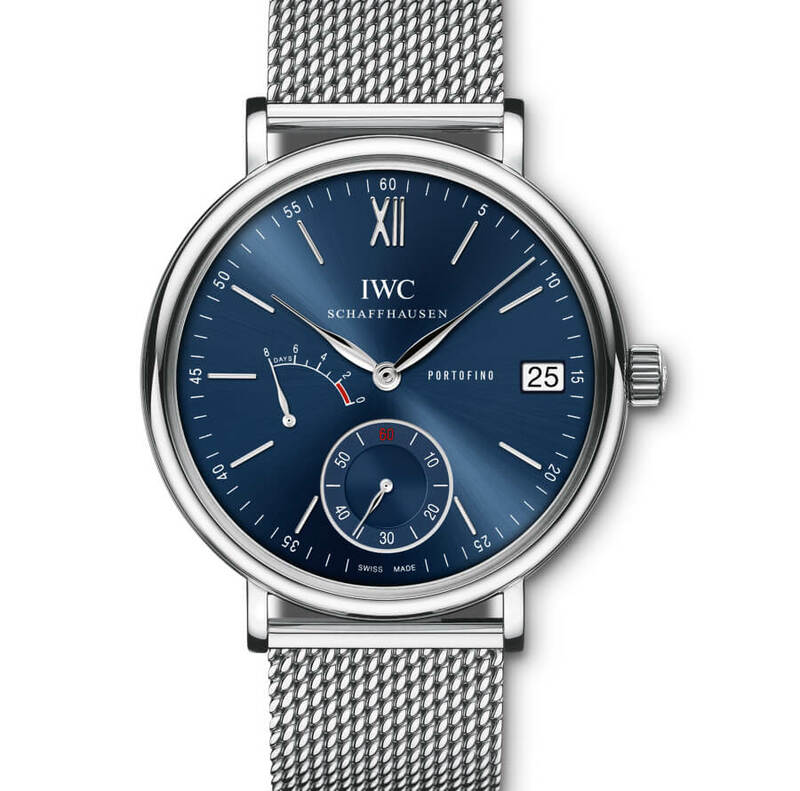 The price for the IWC Portofino Hand-Wound Eight Days Ref. IW510115 is Euro 9.850,-and Ref. IW510116 is Euro 10.700,-. For more information visit IWC Schaffhausen Online.